Popular, Productive Office By Julia Gifford on August 20, 2012 . If you’re redecorating or relocating your office, spend some time thinking about your furniture, décor and other interior accessories. Studies show that office environment has a great impact on employees’ productivity and work efficiency. A study by VIBE found that multiple computer screens increase productivity and work efficiency by 9 to 50 percent, especially with tasks such as cutting and pasting. The researchers concluded that multiple screens made it easier for users to switch from one task to another, and that helped employees do their job more efficiently. A study by Sharp found that each person wastes 167 hours a year on slow and outdated tech, which is 4 weeks every year. That’s more than people spend on annual holidays! 64% of the respondents also admitted they would be more productive if the office had newer technology, which is another reason to consider investing in up-to-date office tech. One study found that the average person wastes up to 4.3 hours per week searching for papers, leading to frustration, increased stress, and lost focus. 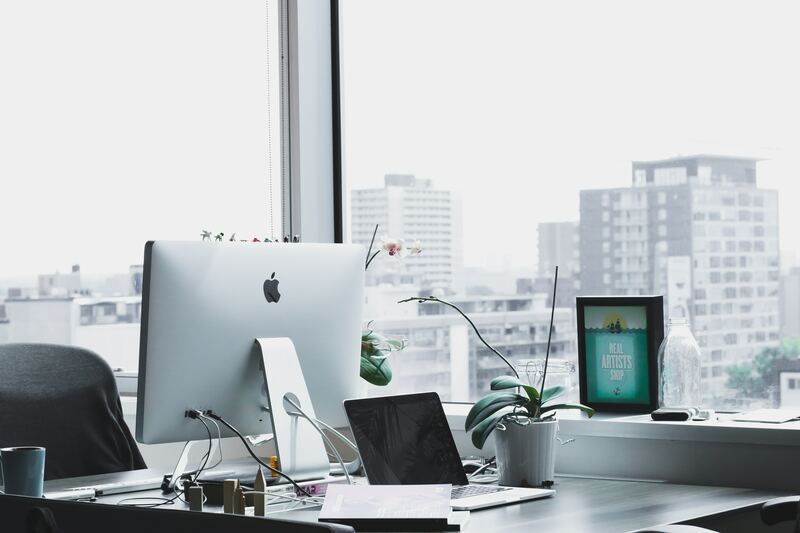 A similar study by the Princeton University Neuroscience Institute also found that a cluttered desk hinders the brain’s ability to process information – the mess on your desk steals your attention from work. Probably, the cheapest way to increase your team’s efficiency – help them become more organized. The average office worker spends 8 hours per day sitting. Having the correct chair helps employees avoid back pain and other injuries, which are calculated to cost companies over $34,600 per 100 employees every year. Meanwhile, having a comfortable and ergonomic chair helps workers stay focused on tasks, instead of getting distracted by the feeling of discomfort: studies have found that employees’ productivity can be increased by 17.5% simply by providing them with the right chair and training. Comfortable, well-ventilated workplaces have a great impact on workers’ performance. 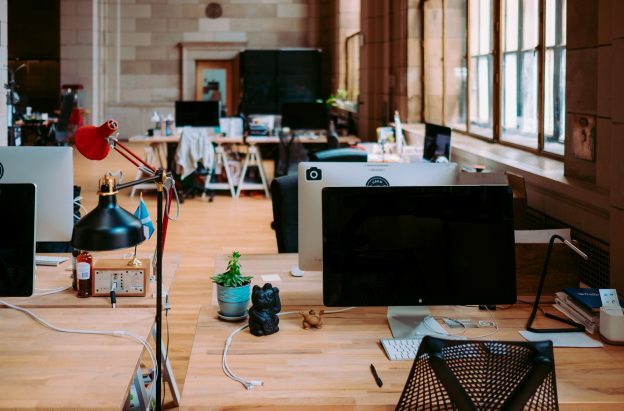 A study by teams from Harvard and Syracuse Universities discovered that, when employees worked in well-ventilated offices, their productivity increased by 61% and performed nearly 27% better on cognitive tasks. An experiment conducted by the Lighting Research Center found that natural daylight boosts employee concentration skills. It was discovered that people working in windowed offices spend 15% more time on work-related tasks than those without windows. Studies on employees’ productivity shows how important it is to make sure the office is comfortable. That not only includes comfy seats and enough lighting, but also refers easy and convenient tools. Every discomfort employees face during their workday steals their focus from the tasks they should be doing. The studies we mentioned highlight the three main areas to focus on when it comes to workplace productivity: tools, furniture, and the quality of indoor environment. This may sound expensive, but then again – look how much time people waste using outdated tools. Computers that are slow and hang up are extremely frustrating! Besides, sitting and waiting for the computer to recover is the worst time waste of all. Tools should help people get things done, instead of being something employees must devote all their attention to. Desks that are comfortable to sit at, ergonomic office chairs, and computers are the minimum. However, if you want to reduce the time wasted during the workday, you’ll need more than that. 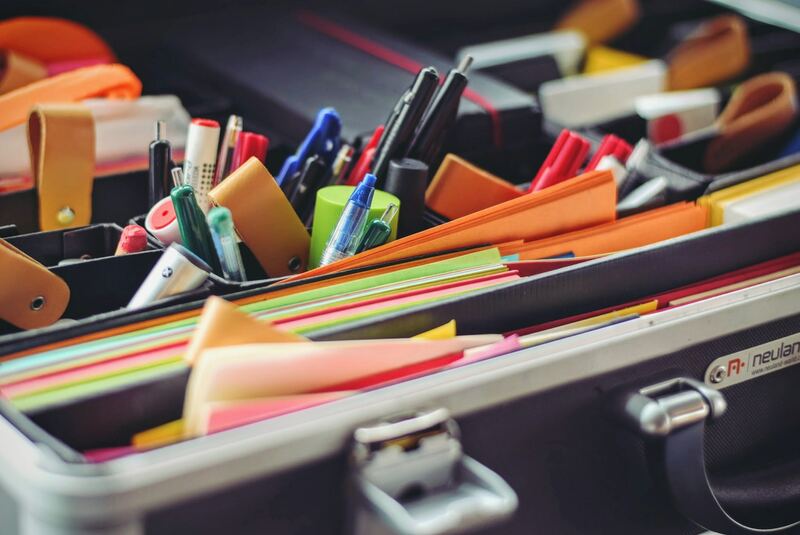 By simply providing employees with organizers, such as filing cabinets and folders, you can help your team become more organized and save the time people waste shuffling papers. Lighting in an office is debatable, as some suggest little lighting keeps individuals focused, while others argue that well-lit spaces increase productivity. However, one thing most researchers agrees on is that there is a strong correlation between natural light and employee efficiency. Therefore when looking for a new office, pay attention if the new place has enough natural light. If the place needs extra lighting, try to avoid overhead lamps, which are found to cause headache, fatigue, and eye strain. Studies have found a strong correlation between natural light and employee efficiency. Sometimes, the changes don’t need to be great and radical to make the difference. Sometimes, they do. However, before you invest in anything, think about simple changes, such as placement of lighting or rearrange employees’ desks. You’ll be surprised how can one extra desk light or a new chair improve your worker’s performance. Then, once you’ve done the changes in the office, take time and observe. Keep tracking your employee productivity to see if their work quality improves. And listen to each team member to find out those little things and hacks that help them become more efficient. I 100% agree with this article. How could anyone not think that an office environment can affect productivity. It’s like the argument about school classrooms and how they should be bright and fun because it helps them to learn. Its just the same with adults, they need a bright and fun environment so they find it easier to learn and concentrate. Superb article Julia, I totally agree with your point of view and I am sure everyone will. The office environment is the directly connected to the efficiency of the staff. A dull boring atmosphere will never be able to bring the best out of employees. Using proper office furniture will make the employee feel better valued and will surely be a moral booster. Also because of less injury and pains attendance will never drop. but stressful if you write about them as it’s hard to remember what’s what. I totally agree with your views. How often have I heard my colleagues ruing the lack of proper “corporate environment” affecting their productivity. However, I would like to add that bolstering your office supplies (like water filters and coolers) as well means of recreation (like coffee makers) can help improve employee productivity as well! Yes, of cause. Office environment can deeply affect the productivity. Stress free office environment and comfortable furniture will make employs to contribute more and help raising the productivity. it is really very good blog,thanks for our information. Collaboration is really the key ingredient to a great workplace culture – this in turn brings about progress & success. One the of the changes that we are seeing is a move away from the open office environment. Often times it is too noisy and crowded for people to work effectively. Laudable most people spend more hours at their office so why not such a place deserve ultimate attention our office must always be appearing to stay. Its so good information about Office Environment and give us more importent points. Thanks for sharing . Ya, absolutely, office set up affects the productivity !